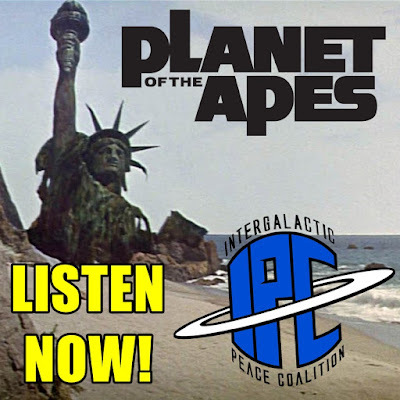 On this episode Ben and Zac throw it way back by discussing the original 1968 classic, Planet Of The Apes. They break down the entire film, from its immersive universe, to its ground breaking special effects, skillful social commentary, incredible dialogue, and that iconic plot twist! They also touch on Apes' unique musical score and how it may have inspired another iconic film soundtrack. Also, listen to the end for #BBQWatch to learn how to get your hands on some awesome merch!